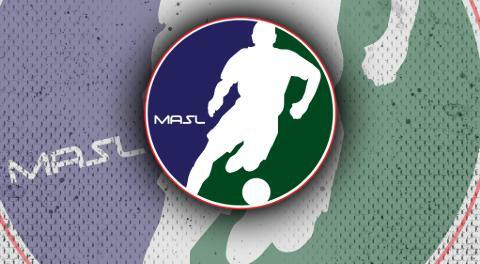 KANSAS CITY (Dec. 11, 2018) –The Major Arena Soccer League (MASL) announced today that the following players were named to the Team of the Week for the Week Two of the MASL’s 2018-2019 season. Players named to the Team of the Week will be eligible for the Week Two Player of the Week award. 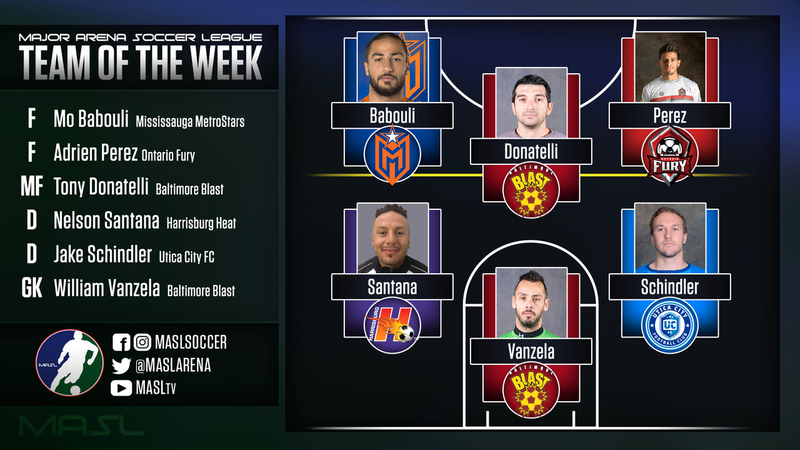 The Player of the Week is voted on by a combination of fans and the member teams of the MASL. William Vanzela (Baltimore Blast) – Baltimore’s Vanzela earned the 2nd Star in his team’s win against Utica City FC on Saturday. While his defense stayed strong, Vanzela was able to turn away 19 of the 25 shots he faced. Jake Schindler (Utica City FC) – Schindler has been a big part of City’s early season success. Against the Florida Tropics this weekend, Schindler helped to keep his side undefeated at home with two assists and a block on the afternoon. Tony Donatelli (Baltimore Blast) – Donatelli is nothing but consistent for the Blast. With his team looking for revenge against Utica City FC, Donatelli led all scorers with three goals and 1 assist. Mo Babouli (Mississauga MetroStars) – The home crowd was treated to a great show when the MetroStars hosted their first MASL game against the Florida Tropics. Babouli had the first two goals and the final goal of the game with two assists in between, helping his side to a 10-0 inaugural victory. Adrien Perez (Ontario Fury) – The only player to return to the Team of the Week from last week, Perez continued his explosive season. He jumped on the visiting Sidekicks and notched two assists to go with his three goals for his second consecutive five-point night.